Clarins BB Skin Perfecting Cream SPF25 PA+++ (A$50/45ml) launches on the coming 20th of May 2013 to deliver a hint of colour for even skin tone and minimise imperfections and blemishes for a flawless complexion while protecting the skin from UVA/UVB rays with high SPF25 with PA+++. The high SPF rating is an excellent quality of this BB Cream as protecting your skin is one of the most important factors to decelerate the skin aging process. There are 3 shades available: No.1 Light, No.2 Medium and No.3 Warm. Most of you beauties have either jumped on the BB Cream bandwagon or have given it a miss. For me, I've tried a few high end and 'drugstore' BB creams out there and honestly, not all BB Creams are suitable for my oily/combination skin type. I prefer multi-tasking BB Creams which not only nourish my skin and leave the shine along my T-zone at bay, but also provides decent coverage (light-medium) to even skin tone and save me valuable time in the morning by skipping foundation application. 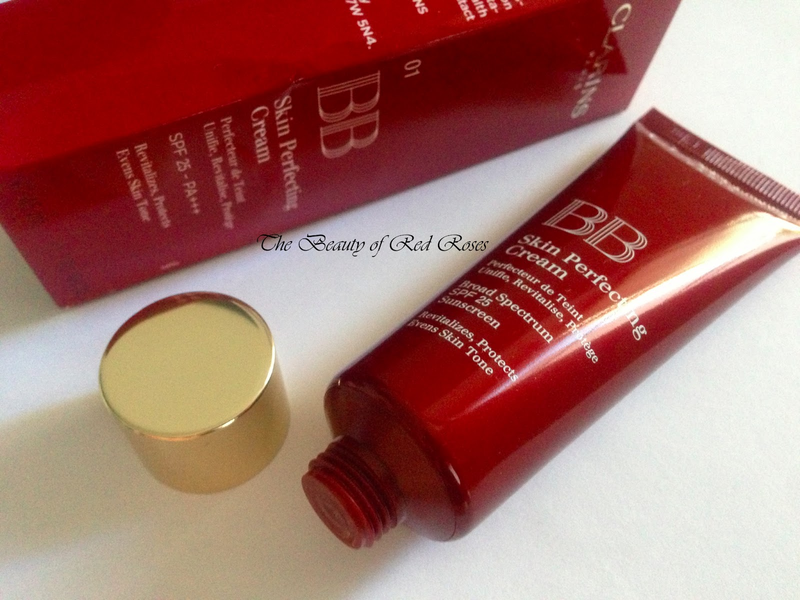 Clarins BB Skin Perfecting Cream ticks all of my boxes and is probably one of the best BB Creams I have used alongside the recently launched Models Prefer BB Cream (reviewed here) and Bobbi Brown BB Cream (reviewed here). All three formulas are very similar in terms of performance and finish. Clarins BB Skin Perfecting Cream formula is oil-free, noncomedogenic, contains 100% mineral sunscreen and is dermatologist tested. The star ingredients of Clarins BB Skin Perfecting Cream are Organic Kiwi Extract (anti-fatigue and antioxidant properties, rich in Vitamin C and stimulates skin cells) and Katafray extract (boost skins natural hydration levels), both of which are plant-based ingredients. Clarins BB Skin Perfecting Cream has a really nice consistency, similar to that of a gel-cream which allows smooth application when using either your fingers or a foundation brush. The formula feels light on the skin, comfortable to wear and applies on sheer, however, can be buildable to provide light coverage. About 3 pearl sized amounts of the formula will suffice for a full face and achieve even skin tone and banish the appearance of redness around my cheek and nose area. If you have blemishes and/or dark under eye circles, applying a creamy concealer would help to brighten the complexion. The finish of the formula is semi-dewy, so with a touch of powder my complexion appears matte. 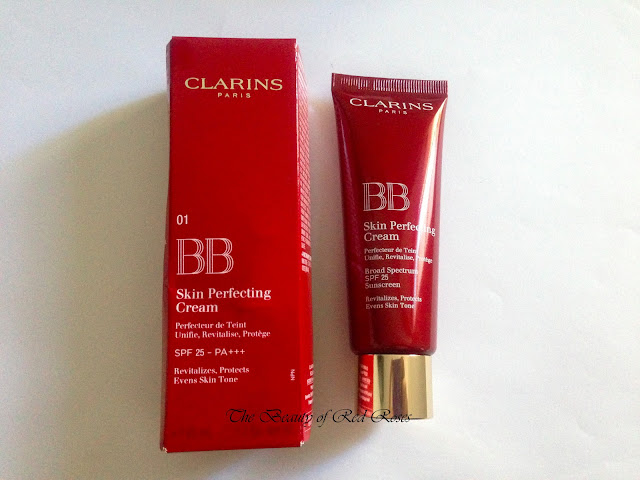 Clarins BB Skin Perfecting Cream lasts a good 8 hours without fading or appearing patchy. The shade No.1 Light appears slightly orange after swatching on my arm, however, after careful blending and allowing the formula to set on my skin, the colour appears a lot more natural and almost matches my MAC NC20 skin tone. I would say that the shade No.1 Light would be slightly too dark if your skin tone is below MAC NC20. It's unfortunate that the shade isn't a perfect match, however, a way to get around this problem is to apply powder which tones down the warmth of the shade. All in all, I'm very much in love with Clarins BB Skin Perfecting Cream as I love the 'foundation-like' formula and semi-dewy finish which gives my skin a natural looking complexion. I'm also pleased with the lightweight feel of the formula as my skin doesn't feel congested or heavy with makeup. Although the shade No.1 Light is a tad darker than my natural skin tone, a light dusting of powder to lighten the overall tone of the formula does the trick. Also, my face looks and appears fresh thanks to the inclusion of the plant-based ingredients. 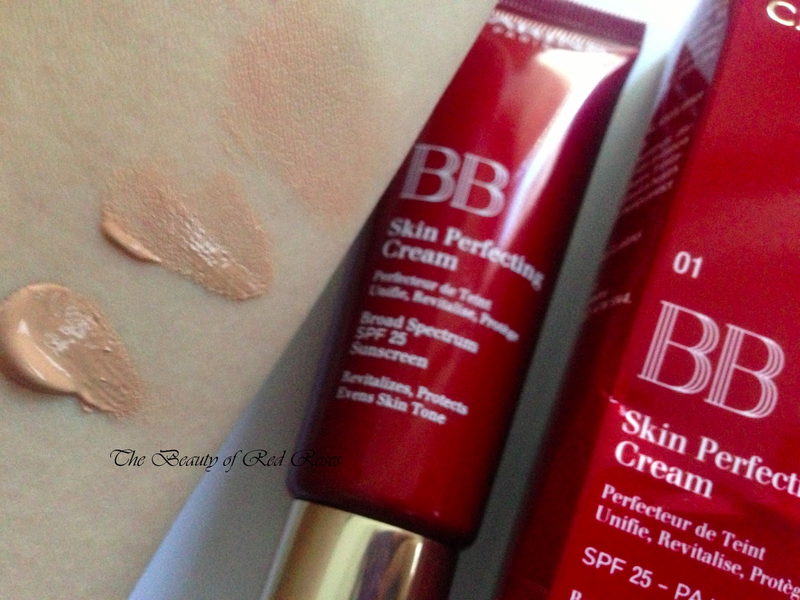 I would definitely recommend this BB Cream if you prefer a BB Cream formula which prolongs the development of shine on your skin and can even skin tone with sheer-light coverage, however, due to the limited range of shades, I would suggest testing out the shades once available in-store and trial a sample first. Clarins BB Skin Perfecting Cream SPF25 PA+++ will be available from May 20th 2013 online at Adore Beauty and The Facial Company and in-store at David Jones and Myer department stores. Which BB Cream is your skin loving at the moment? Product was provided for consideration only. This review is 100% based on my own thoughts and opinions. 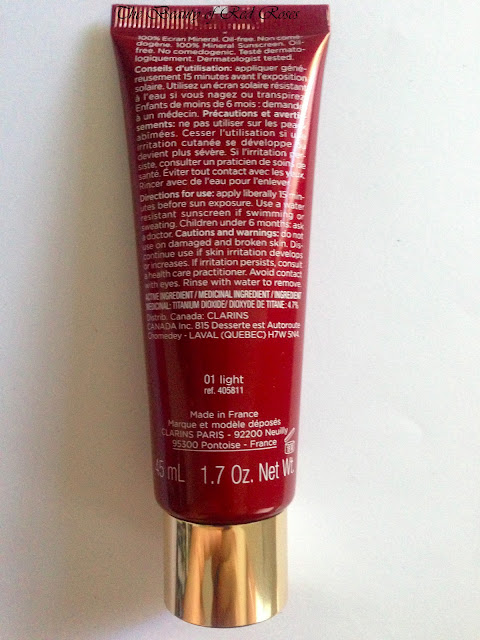 I am not affiliated with Clarins and did not receive remuneration to post this product review. Celebrate Earth Day with LUSH!